As you will know following the Service Group’s ‘Make Water a Human Right’ motion at National Delegate Conference, we have committed to assist EPSU (European Federation of Public Service Unions) in collecting signatures for this European Wide Campaign. You can download the electronic version of the petition here – please could you print out a copy and collect as many signatures as possible. The completed petition should be returned to Phil Vidamour, UNISON Branch Secretary, United Utilities Branch (phil.vidamour@uuplc.co.uk) or Mike Jeram , National Officer, UNISON Centre, London (m.jeram@unison.co.uk). 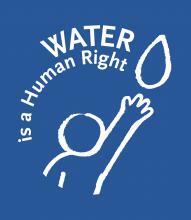 Please note that the deadline for this petition is the end of August and for more information you can visit www.right2water.eu. Your help and support with this campaign is very much appreciated.